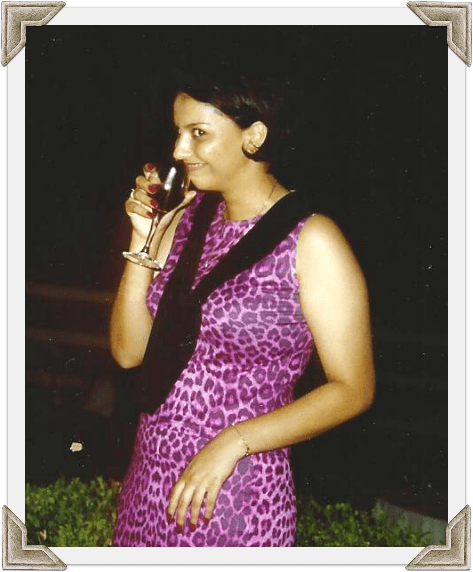 During our uni years, my mate Chantal and I had a Friday night ritual. When we weren’t working for a functions company, we’d get tarted up and head into town. We’d start the night with one drink at a fancy establishment – the Hilton Piano Bar was a favourite destination. We’d swan in and pretend we were flush. We’d sip a single cocktail in salubrious surroundings and then head to a pub, where the beers seemed practically free by comparison. The following morning, we’d be forced to have a medicinal yum cha breakfast when we headed back into town to claim whichever car we’d left in a vacant lot. During these years, a designer purple leopard skin number that I’d found at a Stones Corner outlet got a lot of air play. We loved that outfit. Today marks a year since Chantal moved across the globe to her shiny Senior Lecturer role. In honour of this auspicious occasion, I baked something from her adopted home. Ladies and Gentlemen, let’s raise a fat rascal to absent friends! Preheat the oven to 210°C. Sift flour and salt into a bowl and rub in the lard until the mixture resembles breadcrumbs. You can use a food processor for this step – faster and less mess. Stir in the sugar, zest, currants and sultanas and mix into a soft dough with the beaten egg. Add a little milk to get the dough to come together if necessary, but I didn’t need to. Transfer onto a lightly floured surface, press out to ½ inch thick and cut into 6cm rounds with a glass or scone cutter. Place onto a greased baking sheet and bake for about 12 minutes until golden. Transfer to a wire rack to cool. Eat fresh with cream or butter. This recipe makes about a dozen. I can say this with confidence, because I didn’t sample any of the raw dough. Cooking with lard really discourages one from tucking into the uncooked mix. The baked result is like mix between rock cakes and scones. For old times sake, Chantal and I recently entered into a shared custody arrangement of a cardigan. She’ll wear it for half the year, photographing herself in exotic European locals, and I’ll snap selfies of myself sporting it at the Caboolture Markets and the other fancy establishments I haunt now. have you ever time-shared clothing? did you have a ritual in your footloose Friday nights? 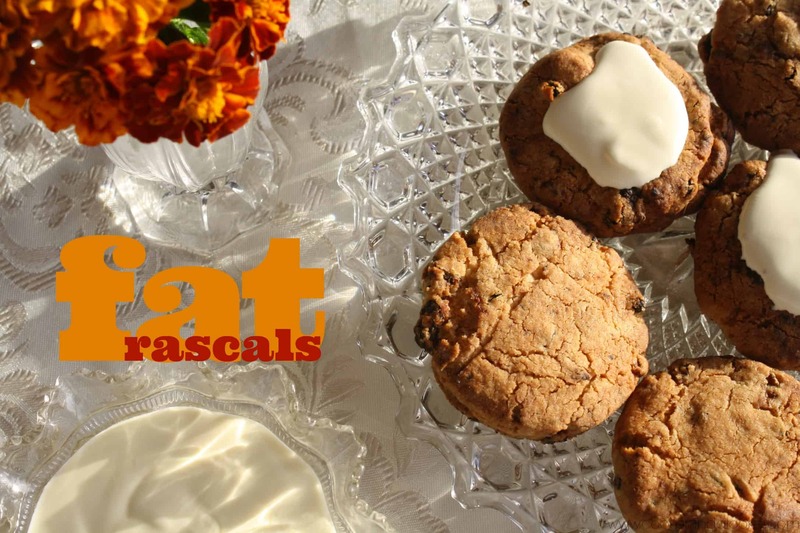 do you have a soft spot for fat rascals? 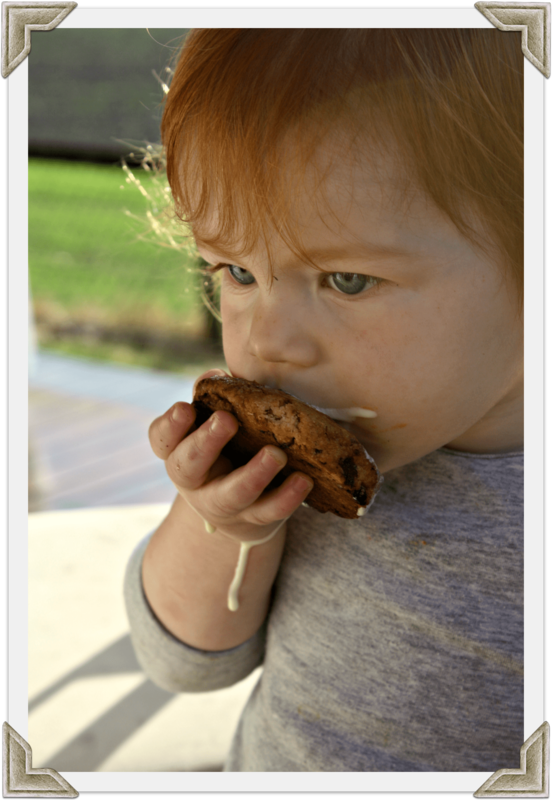 Sure thing – I’ll happily post you all of my fat rascals today! Apparently Saturday night is now the time to sip a glass of water and reply to blog comments Anne. How times change! I have never, ever heard of a fat rascal before, except the human kind of course, and they are fairly rare. Must it be lard? Could butter be used instead? Love the time share clothes idea!